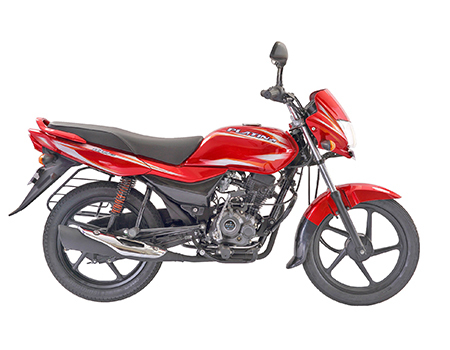 Bajaj has been providing the Indian customers with some of the most fuel efficient bikes and Platina is another prominent economical bike in the arsenal. Bajaj Platina gave a comfort ride to its customers. First introduced in 2006, the bike was the buzzing topic in the market due to the dramatic sales count of 5 Lakh within eight months of the launch. This bike has been recorded as a popular commuter bike. A commuters bike with 100cc engine, great mileage, and pickup has gained trust of riders to opt Platina for their work commute. This two wheeler has 2 versions with 1 engine, 1 transmission and 2 types of wheels, offered at different ex-showroom prices. This two wheeler has 8 models with 5 engine, 1 transmission and 2 types of wheels, offered at different ex-showroom prices. This two wheeler has 8 models with 7 engine, 1 transmission, different versions and offered at different ex-showroom prices. This two wheeler has 1 version with 1 engine and 1 transmission. Coverage for any damages/losses caused to a third party. Comprehensive coverage for your own two wheeler. Benefits of cashless transactions through network garages. Loss and damage to the two wheeler due to accident, theft, natural calamities, etc. If the vehicle is used for hire or reward, carriage of goods, organized. My Bajaj bike insurance has already expired. Is vehicle inspection mandatory? Yes it is mandatory- Fix up an appointment for the inspection of your Bajaj bike. Do note; this can invite a nominal fee. If the insurance company chooses to offer you the coverage, you can make the payment and get the policy in hand. However, if you are lucky enough, inspection may not be mandatory. How does NCB work in case I buy a second-hand bike? Will I get No-Claim Bonus? As a new owner it’s your obligation to get the existing two-wheeler insurance transferred in your name within the specified period from the date of transfer of RC. If you fail to do so and if you require raising a claim, the same will not be honored. For a favorable claim, the title on the RC of the two-wheeler and the insurance documents has to match. Also, please understand that the current owner can carry forward his existing No Claim Bonus (NCB) with him. He can use it to seek the premium discount if he purchases a new bike in future. Likewise, as a new owner, you will have to earn this bonus with each claim-free year. You can win a maximum of 50% discount on your own-damage premium with NCB. Is an online policy valid? Yes-an online policy is very much valid. You can also renew your Bajaj bike insurance policy with a debit/credit biked or even through net banking. Although, for expired policies you will have to contact us for an offline renewal process. Should I opt for a single year insurance plan or a long-term insurance plan? You should opt for a long-term or multi-year two-wheeler insurance plan for your Bajaj bike to enjoy pure convenience and be completely stress-free. You can save on premiums, eliminates the hassles of yearly renewals, skip the paperwork and avoid the gap in coverage since you are insured for an extended period. Will I get reminder for policy renewals if I buy from Coverfox.com? Yes, you will receive reminders via SMS and email on renewals if you have bought the policy from Coverfox.com. How is third-party insurance different from comprehensive two wheeler insurance? The third party bike insurance only covers your legal liability for any loss and damages to third party because of your bike. It will not cover you or your bike for any damages suffered. Whereas, a comprehensive bike insurance will cover your bike from instances of theft, fire and vandalism. It also protects from natural disasters such as cyclone, floods, earthquakes, or from civil disturbances such as riots, which damages your bike. A list of what perils are covered will be provided in the policy document. Make sure you go through the list to understand the protection being offered. Along with this, it also covers any legal liability arising due to the damages caused to any third party triggered by your bike.